Here are before and after graphs of different motorcycles. 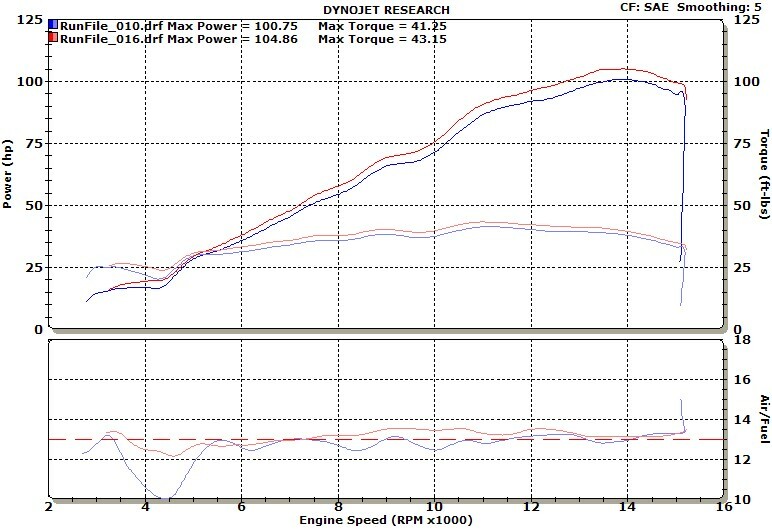 Take note of the bottom graph (air/ fuel ratio). This was a test to see what the DB killers did to performance. Second run was done without DB killers in and the performance gain was incredible. (9 horsepower!) More power would be seen with a proper mapping. 2006 harley Springer, Stage 1,Screaming Eagle air cleaner, LA Choppers 187S pipes. PC3usb. 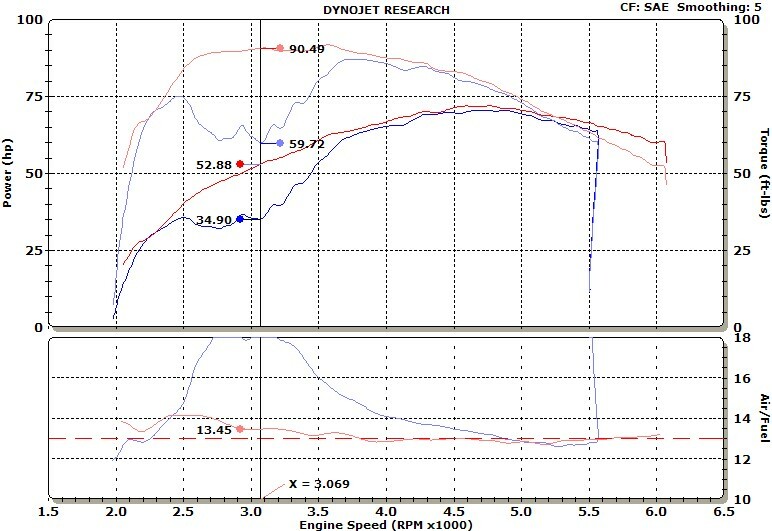 This bike starting running very lean in the upper rpm range resulting in a loss of power(red graph lines). After mapping, the bike gained considerable horsepower and torque (blue graph lines). After modifications to this bike, the owner complained that the bike "falls on its face" when he opens the throttle. The bike had an extreme lean condition from 2500-3500 rpm. Power gains were very good after fitting a Power Commander and custom mapping. 2005 Honda CBR600RR, K&N air filter, Jardine slip on. PC3usb. This Honda CBR600rr was fueling a bit on the rich side. Four cylinder bikes tend to make better power with a bit less fuel rather than more. Leaning this bike out just a little gained around four peak horsepower and better driveability. This bike was running lean in the midrange. Mapping produced good gains that will be noticed for street riding. 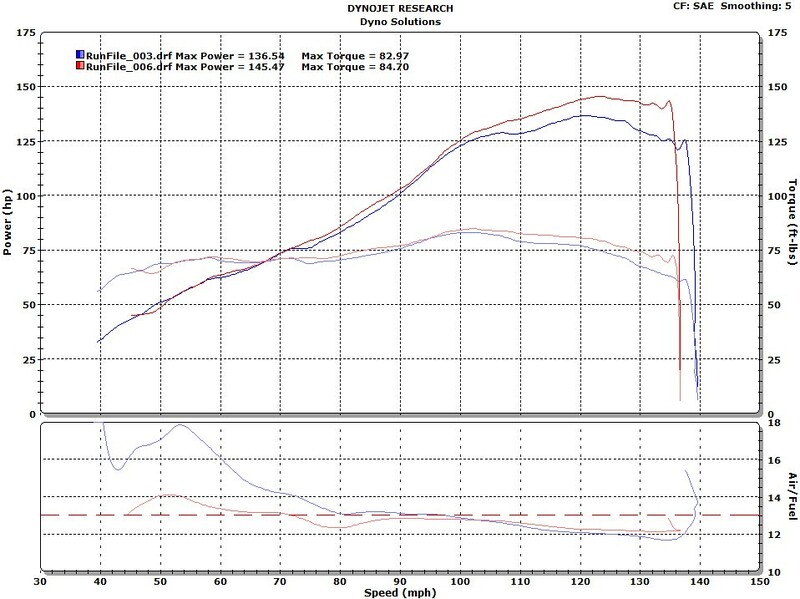 The bike did not produce much more peak horsepower as it was fueling good near the redline. 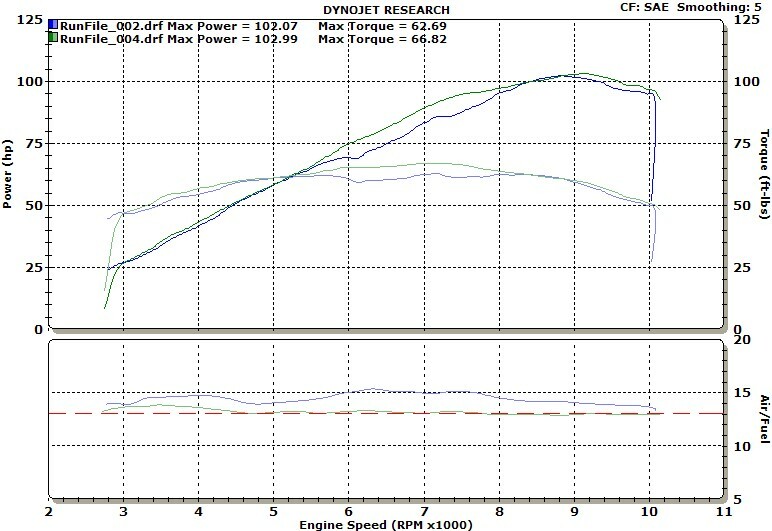 More dyno graphs coming soon! 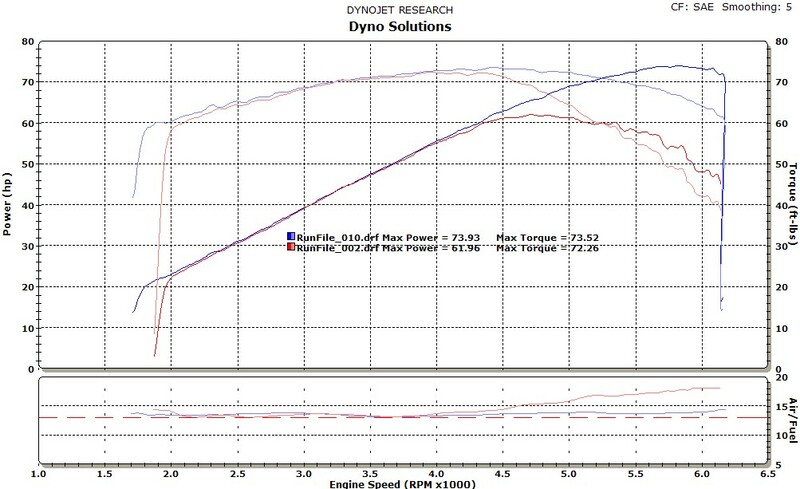 Dyno Solutions welcomes your questions and comments. Please see our Contact Us page for complete contact information.